Instead, let’s start the year off by not making that mistake in the wrong environments! And you can do all sorts of pretty and festive things with it! CSS can do styling too! The problem is that this is changed just on the login screen. Once you’re logged in, you still potentially have the same issue of not having a visible cue to what environment you are on. 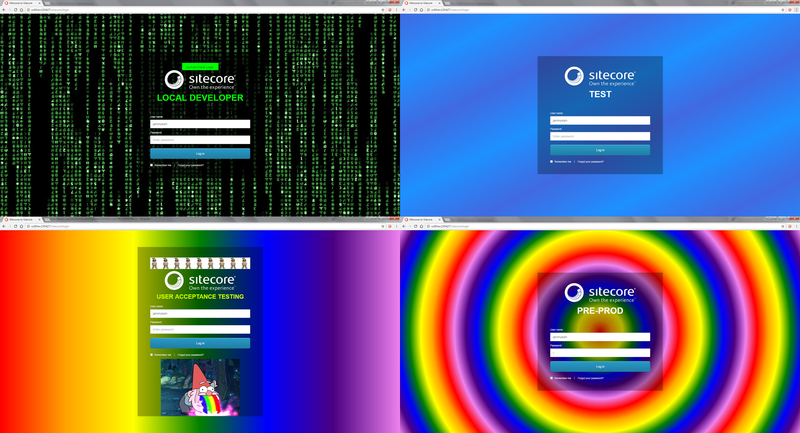 We’ve gone a bit further and have been using some CSS styling to identify the different environments. This has the advantage that it is not just the login screen that is styled, but also the header ribbon that is visible on all pages in the CMS interface. 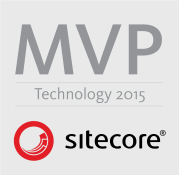 Unfortunately we went and did the dirty – hacked some standard Sitecore CSS files. Sorry! To undo the bad deeds of last year, I went ahead and cleaned up that code so no default Sitecore files were harmed during the making of this module. Most of the CSS is fairly straight forward, the slightly more interesting part is probably the ::before/::after selector and content property. It’s worth reading this article to understand what is going on there, but we are basically adding a pseudo-element, styling it as needed and setting the element text to what’s set in the content property. The “local developer” stylesheet is heavily commented so take a look there to see some of the styles you can override. Note that all stylesheets import the PROD file, add changes to that file for it to apply to all environments (e.g. client logos). See the screenshots below for some examples. Getting the CSS file injected into the SPEAK based pages was very easy – that is, the Launchpad and Experience Editor. 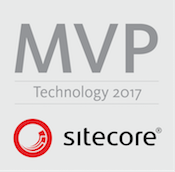 Unfortunately that processor does not exist in Sitecore 8.0 releases, so we can create a processor to add the stylesheet in ourselves. I couldn’t find much information on PageExtenders apart from this single article on Custom PageExtender from fellow MVP Mike ‘Gold Suits’ Reynolds. PageExtenders allow you to insert any HTML code to all/any of your pages using the PageExtenders pipeline for WebForms pages and mvc.renderPageExtenders pipeline for MVC pages. We only care about the first one. The 2nd if statement runs for the Content Editor and the Desktop, and we add the stylesheet to the PageScriptManager which Sitecore is helpful enough to provide us. Our script will be rendered in the <head> as expected. The 3rd if statement runs for the Login page. There are no helpers here so we have manually inject in the stylesheet element by inspecting the controls already added to the page. 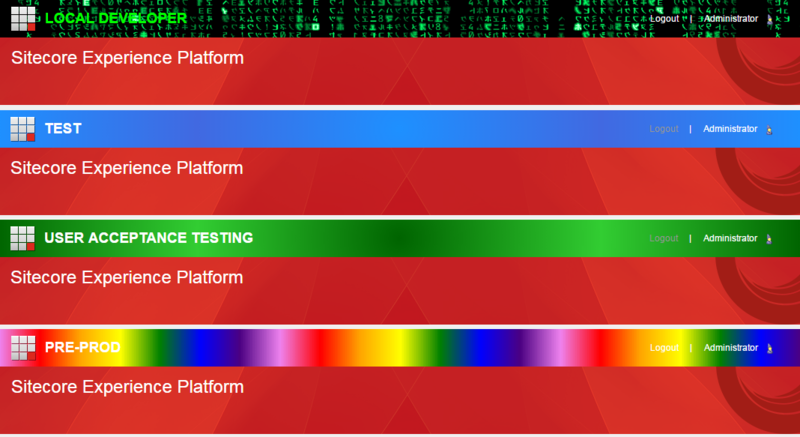 The last 2 are just for fun and to show some possibilities, take a look and have a play – CSS3 gives us gradients, animations and transforms. You don’t need this on the CD servers. Either delete the config file or deploy/enable SC.EnvironmentStyler.WebCD.config.disabled. Big thanks to Michael West and Pete Navarra for testing and providing feedback.